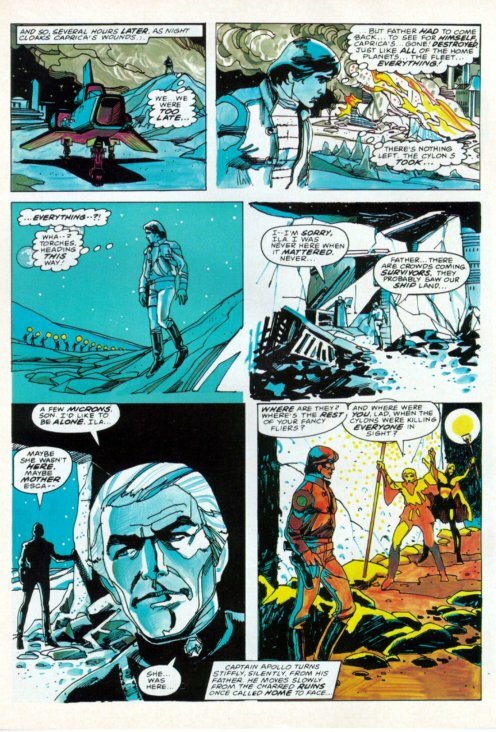 ...and this is the first one...the extremely-limited/never-reprinted version, from the magazine-sized Marvel Super-Special #8 (1978). 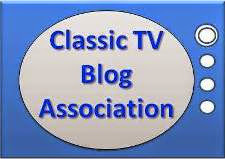 ...and thus we pause to catch our breath...until next week...and the cataclysmic conclusion. 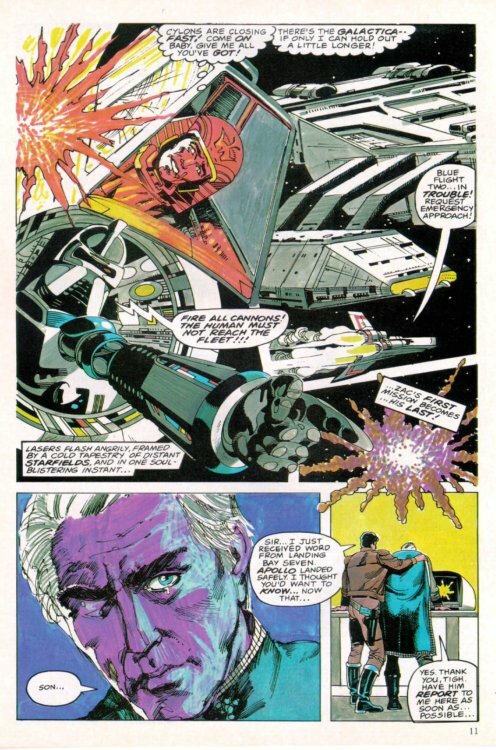 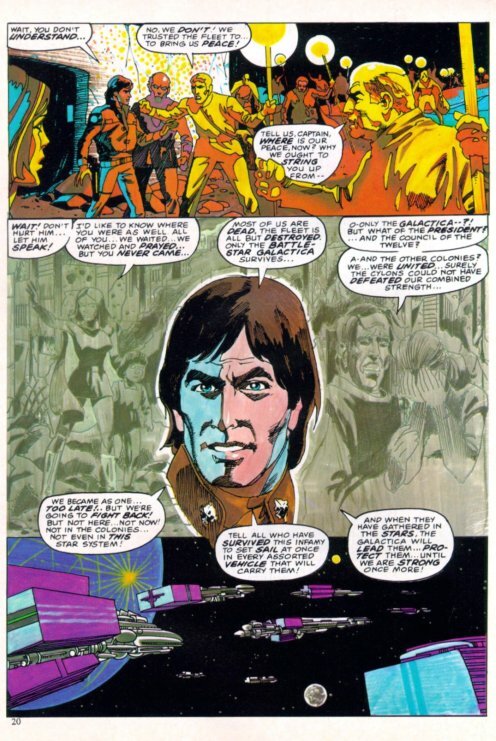 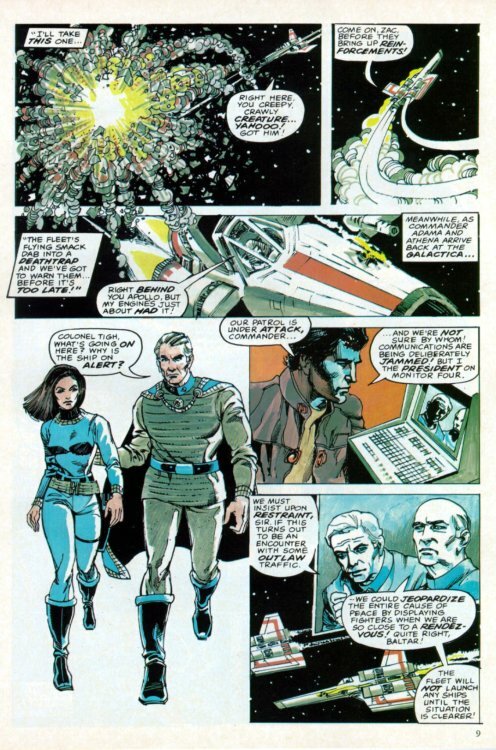 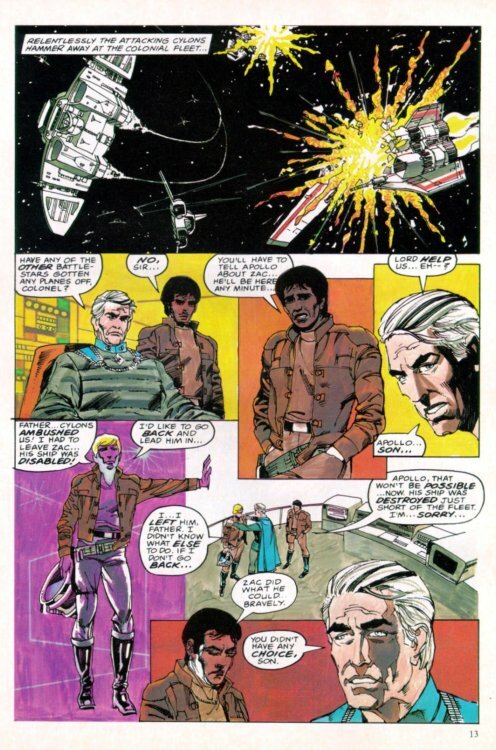 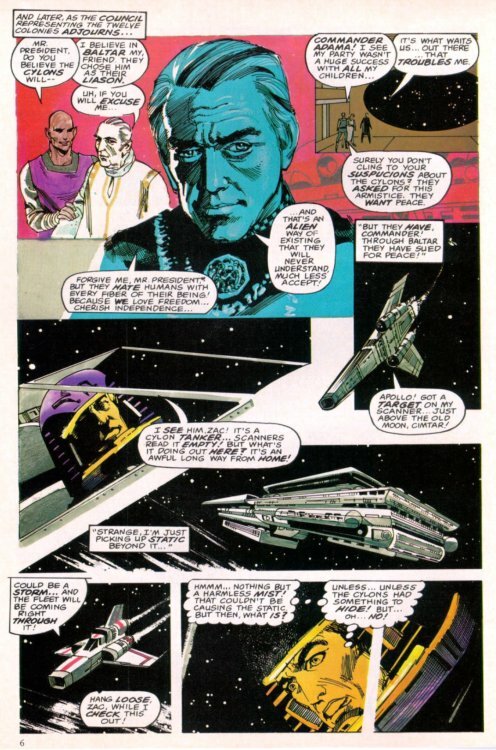 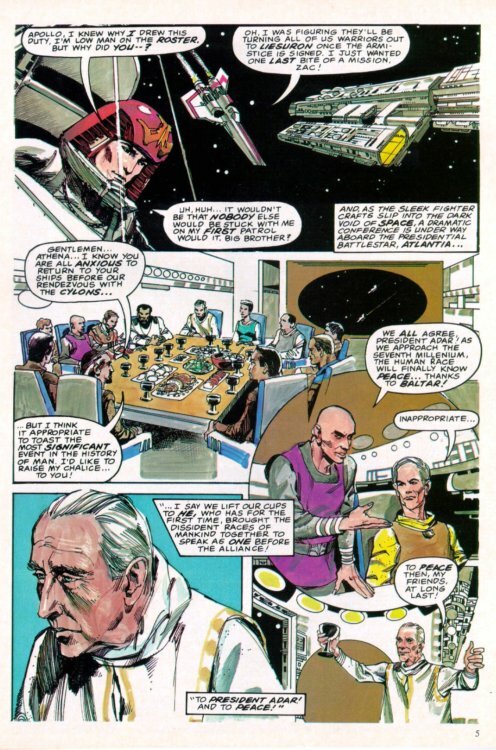 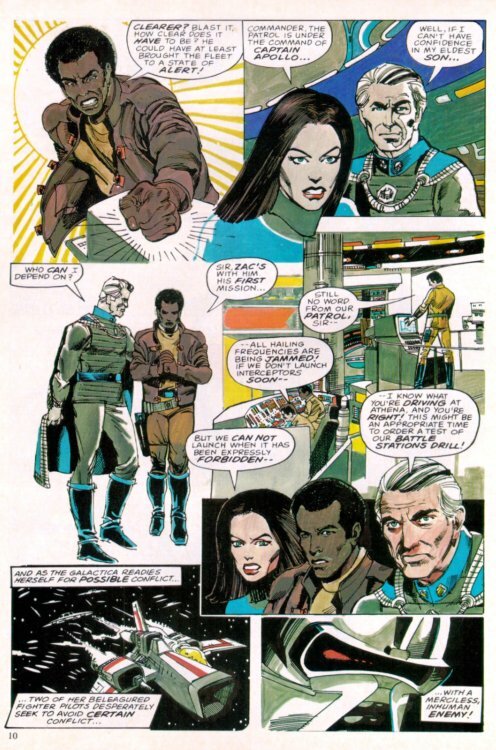 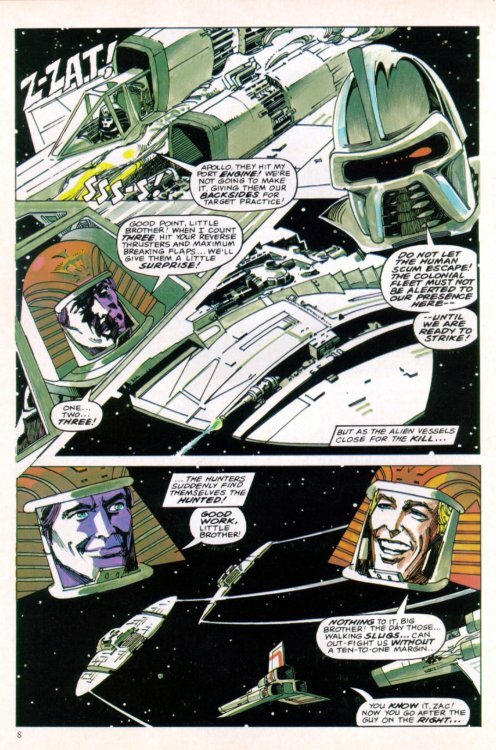 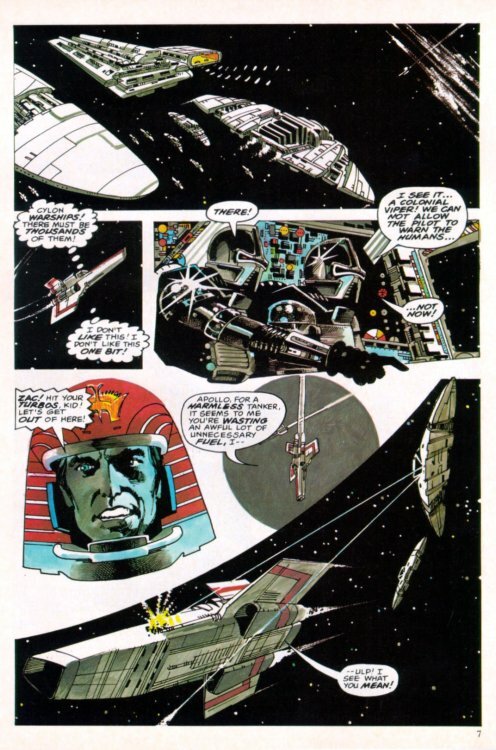 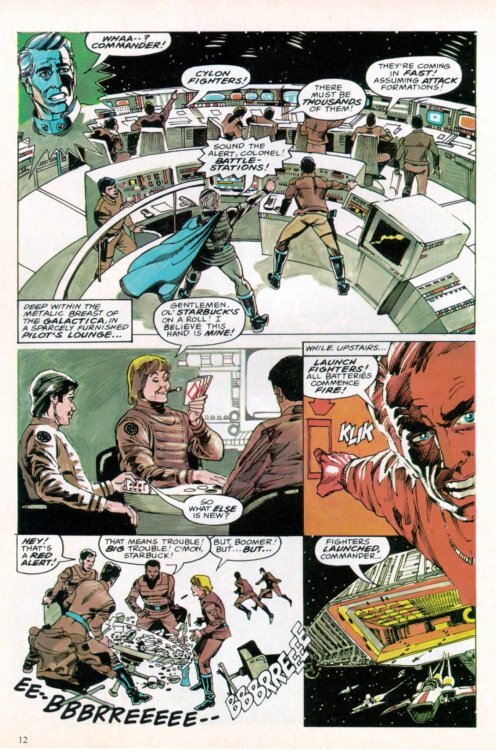 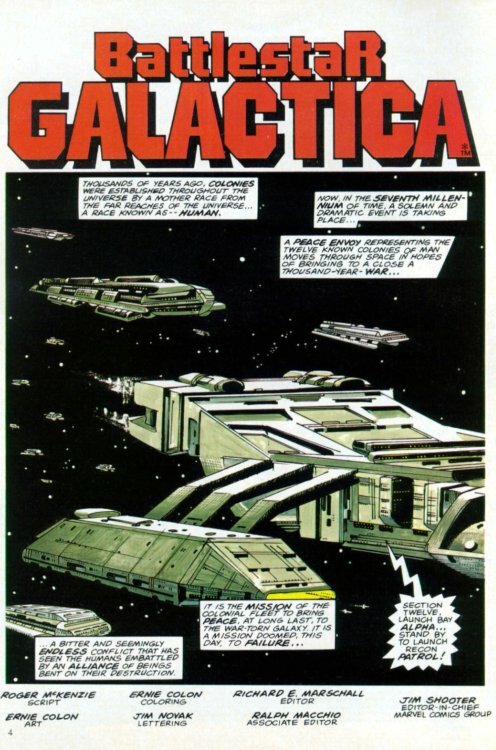 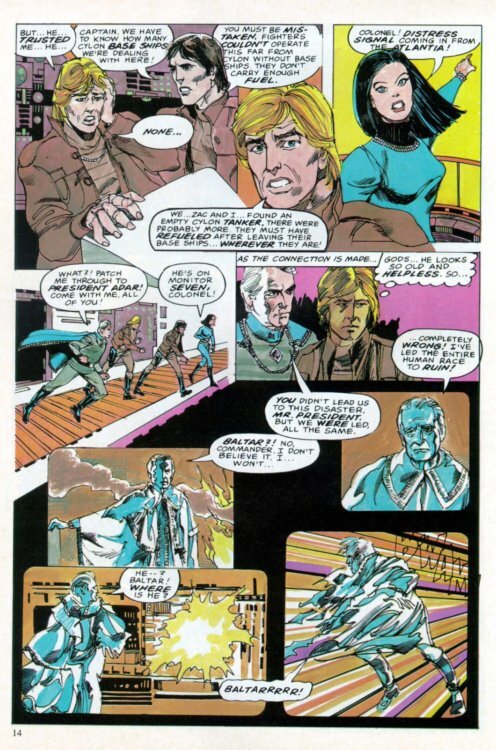 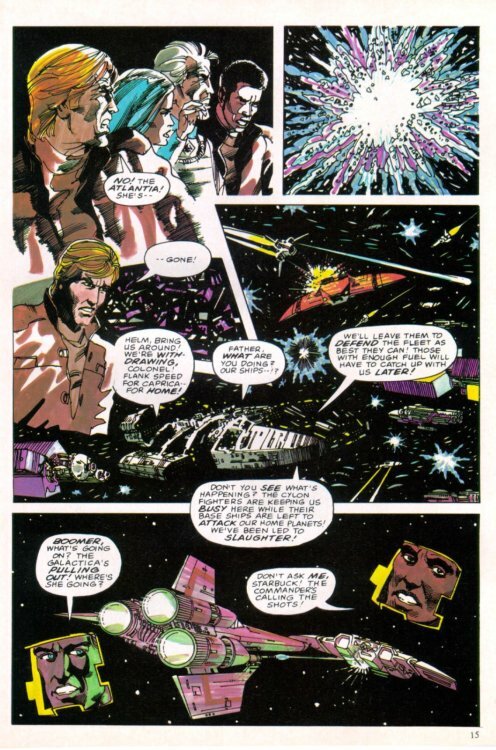 This first half of the movie version of Battlestar Galactica was presented by writer Roger McKenzie and artist/colorist/painter Ernie Colon. 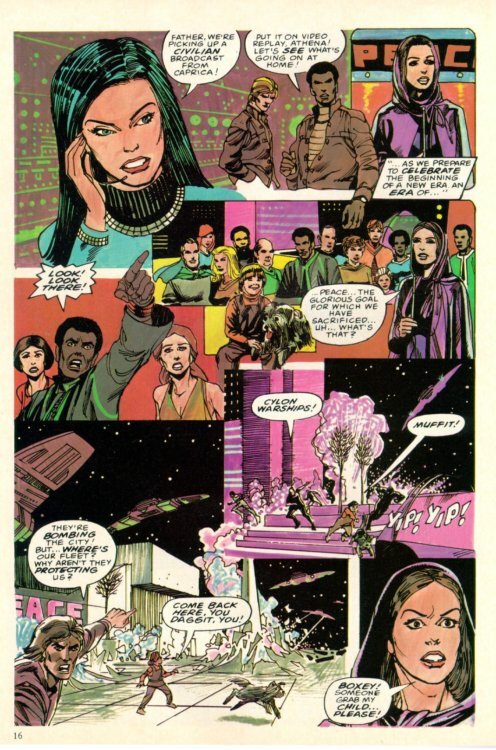 We'll have the story behind the change from magazine to tabloid format next time. 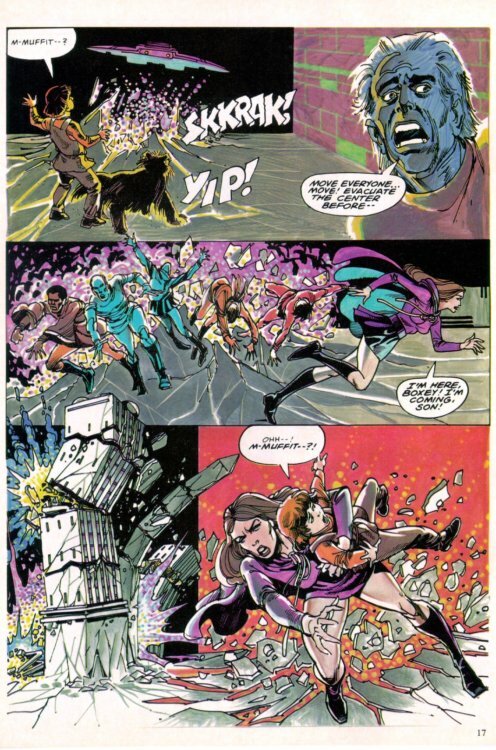 Captain's Library: HOT WHEELS "Super Chick"